I read all manner and genre of books but my favorites are the ones that sweep me away to different places, cultures, and foods. 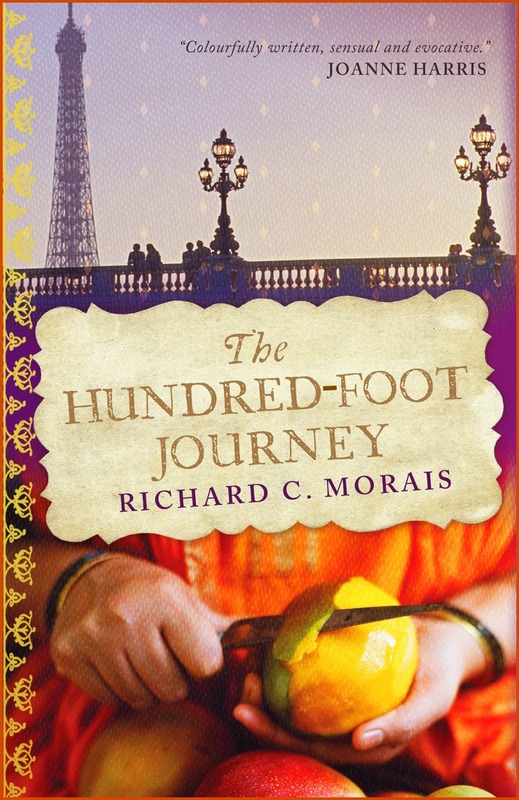 The Hundred-Foot Journey by Richard C. Morais doubly takes me away, combining the curries and spices of Mumbai with traditional French cooking in a small village in the French Alps. 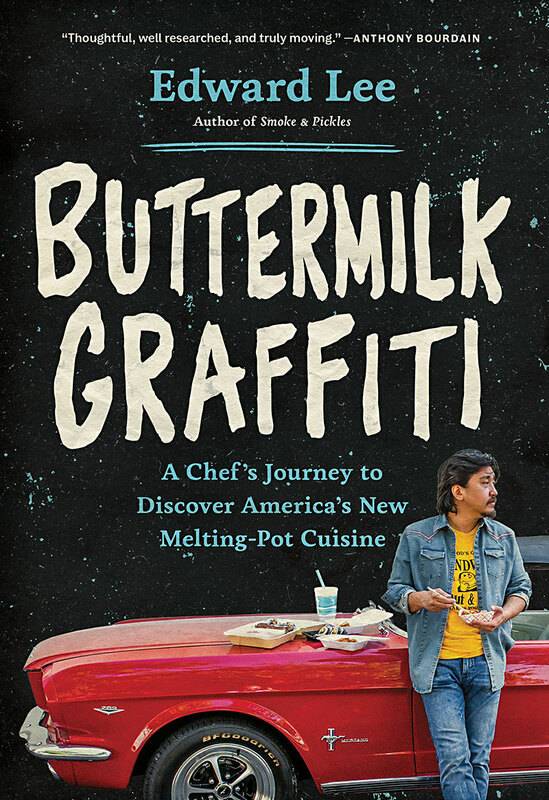 It took several recommendations and a viewing of the movie to push me to read this book--and to choose it for our Cook the Books: October/November selection--as nothing is more fun than having some wonderful friends along on a culinary reading journey. 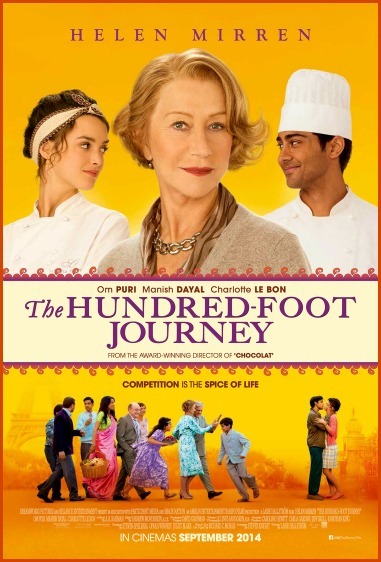 The Hundred-Foot Journey is the story of Hassan Haji and his family, who leave India after a family tragedy and end up settling in the small village of Lumière, France. They open a noisy family-style Indian restaurant just 100-feet across the road from the fancy and renowned restaurant of Madame Mallory. The 100-feet is at first a huge cultural divide between the Haji family and the prickly Mme. Mallory, but it inspires Hassan to learn French cooking before making his way to Paris to seek his success as a chef. Another reason I chose The Hundred-Foot Journey was finding out that long-time CTB participant Camilla of Culinary Adventures with Camilla is hosting November's round of the monthly foodie movie event Food 'N Flix, and she selected the movie version of The Hundred-Foot Journey. (You can find her invite here.) We thought it would be a fun opportunity to pair up book and film for those of you interested in combining your book and movie worlds. Of course, it's strictly optional to do both events and how you do it (a combined post or two separate posts) is up to you! Read the book and watch the film, make a dish inspired by both, and post it by our joint event deadline of Monday, November 30th. If you have one post for both the movie and book, email both Deb & Camilla (debinhawaii@gmail.com & constantmotioncamilla@gmail.com) with your entry and let us know that you are doing the combined event. Or, if you prefer to make two separate dishes and have a post for each event--one inspired by the book and one inspired by the movie, send each of your entries to the event's respective host. 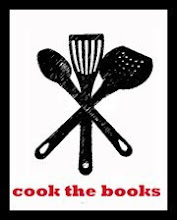 (Send your Cook the Books posts to debinhawaii@gmail.com & your Food 'N Flix posts to constantmotioncamilla@gmail.com) by Monday, November 30th. I will be rounding up crossover posts and Cook the Books only posts here on the CTB site & Camilla will be rounding up crossover posts and Food 'N Flix only posts on her blog shortly after the joint deadline. Again, watching the film and joining in Food 'N Flix is optional, so if you just want to read the book, that's perfectly OK--just send your CTB entry to me by Monday, November 30th. Makes sense?! If not, feel free to email me or leave a comment on this post with your questions. We look forward to seeing what The Hundred-Foot Journey inspires you to create! 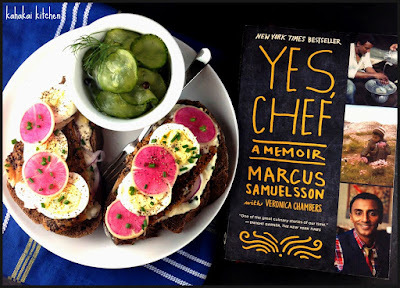 Welcome to the roundup of posts for the latest Cook the Books selection, Marcus Samuelsson's memoir, "Yes, Chef". 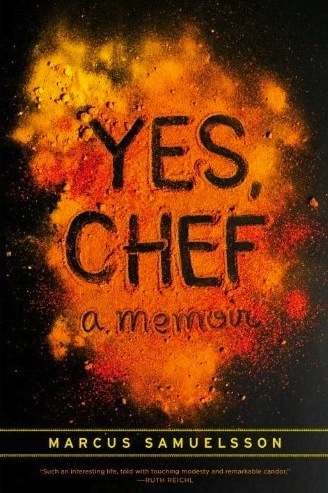 It was a book about the extraordinary life that the restaurateur and chef has led so far and which has taken him to many countries around the world. I thought I would arrange the roundup of contributors' posts according to the different stages of Samuelsson's life that he described in this memoir. Our author began life in a small Ethiopian village. Sadly, his mother died from tuberculosis after trekking with him and his older sister to a hospital in the capital city of Adis Ababa. 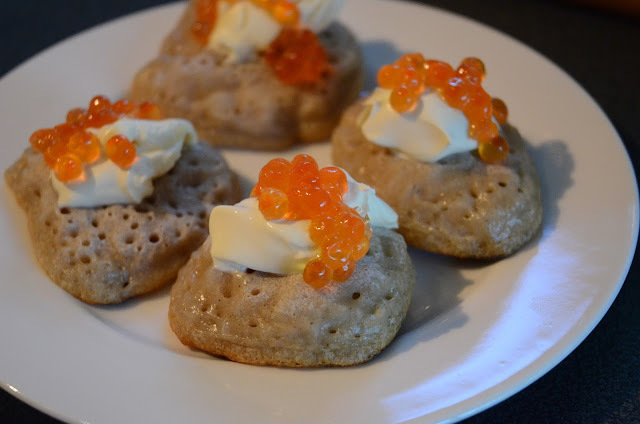 Foodycat's Injera, Doro Wat and Lentil Salad made one Yes, Chef-inspired meal and then later she used some injera batter to make little injeras topped with creme fraiche and salmon roe with a nod to Samuelsson's Swedish heritage. Deb at Eliot Eats, one of the four Cook the Books cohosts in the rotation, made several dishes for an Ethiopian Feast based on a restaurant meal they enjoyed on a recent trip to Denver. Terri joins us for the first time here at Cook the Books, writing from her blog Our Good Life. 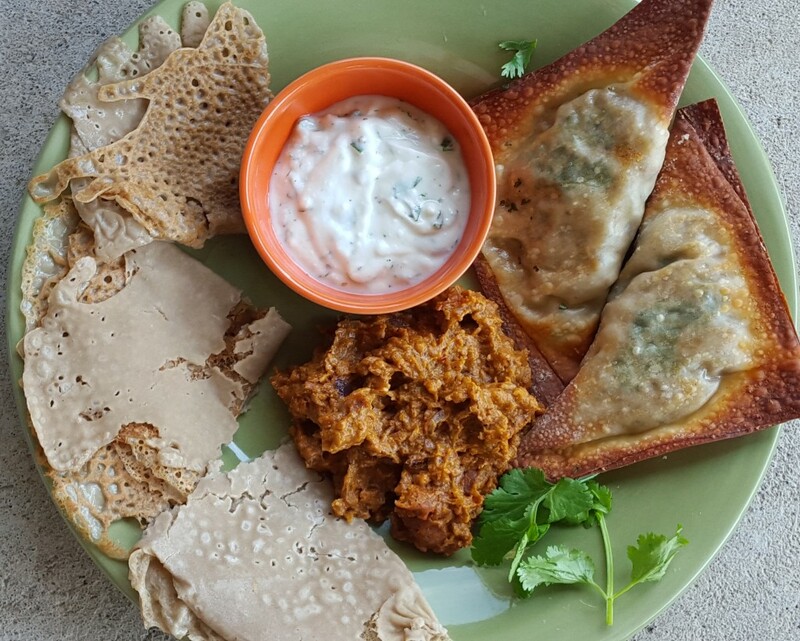 Terri contributed an Omelet with Berbere seasoning, an Ethiopian seasoning blend that she used for the first time. Vicki blogs at I'd Rather Be Reading at the Beach and also joins Cook the Books for the first time. 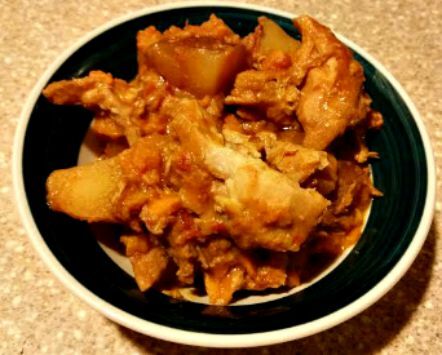 She made one of Samuelsson's recipes, a West African Chicken and Peanut Stew. 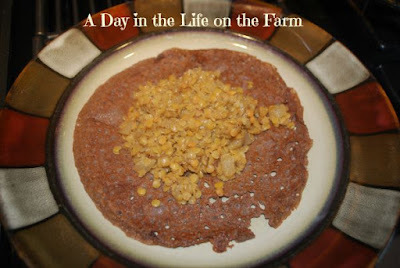 Wendy of A Day in the Life on the Farm made a tasty dinner of Injera and Msriat. Marcus and his older sister were adopted by a Swedish couple and grew up in a much different culture, playing soccer, helping Mormor cook the weekly family meals and helping his Dad catch fish. Simona of Briciole, a Cook the Books cohost, liked the passages about catching fish and made a batch of Kokoda, an eye-catching marinated raw fish salad. Blogging from Hawai'i at Kahakai Kitchen, another of my wonderful Cook the Books cohosts, Deb, drew on her own Swedish heritage to produce a luscious looking That's A Good Life Smorga - a smoked fish sandwich with homemade pickled cucumbers. After studying food preparation in high school and at a local restaurant in Sweden, Samuelsson struck out for Austria and Switzerland and apprenticed in several fine dining establishments. 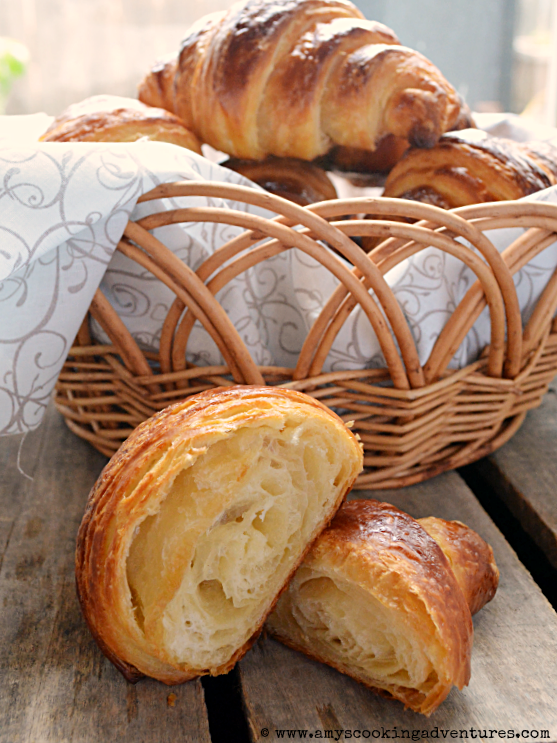 Amy's Cooking Adventures was inspired to tackle these lovely Classic French Croissants. Cathy at Delaware Girl Eats paid homage to Chef Samuelsson's achievements in these highly demanding hotel and restaurant kitchens by making a Peach Nectarine Tart. Samuelsson moved to New York City and rose to be head chef at Aquavit, before setting out on his own with his Red Rooster Cafe. Claudia of Honey in the Rock was inspired by Chef's description of exploring Puerto Rican cuisine, and whipped up a savory Pork Mofongo. Over at my blog, The Crispy Cook, I layered on some more flavors to the Grilled Whole Chicken recipe that my husband and I have been tinkering with all barbeque season. 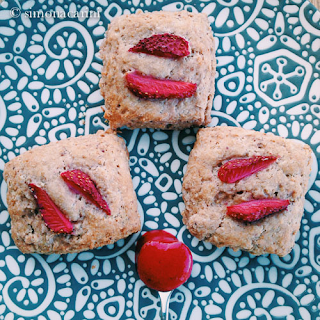 Camilla from Culinary Adventures with Camilla was inspired to chase some flavors around with her Bourbon-Pecan Pralines. 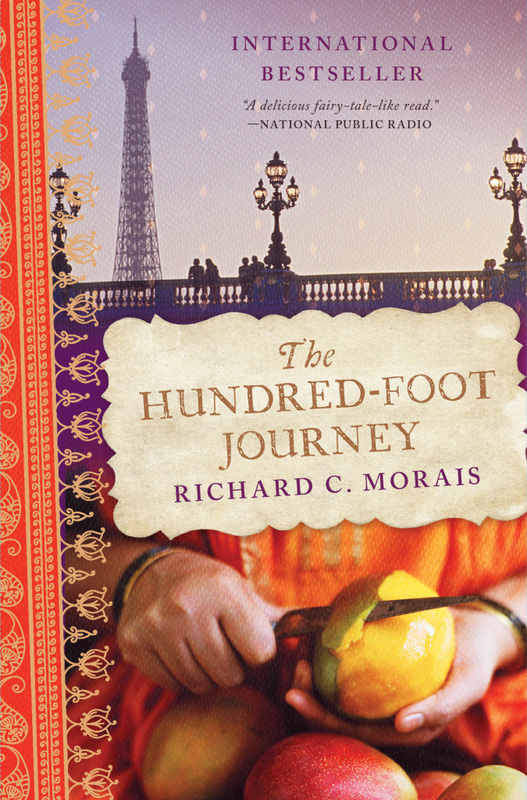 Please consider joining us as we read and cook from our next book selection, The Hundred-Foot Journey by Richard Morais. This next round will be hosted by Deb of Kahakai Kitchen and entries are due November 30th. There is also a tie-in with Food n' Flix, to watch and cook from the film version of this book, starring the divine Ms. Helen Mirren. "People have recommended The Hundred-Foot Journey by Richard C. Morais as a great foodie read to me over the past few years but I just have not gotten around to reading it. I did see the film adaptation, and it made me want to delve into the book, so what better way to get it onto my reading list than to choose it as my October/November 2015 pick? From Bombay to Paris, this novel traces the culinary journey of Hassan Haji from his childhood above the humble family restaurant in India, to discovering French cooking in a small French village, and then finding celebrity as a chef in Paris. I think there will be plenty of delicious food to inspire us in this book. 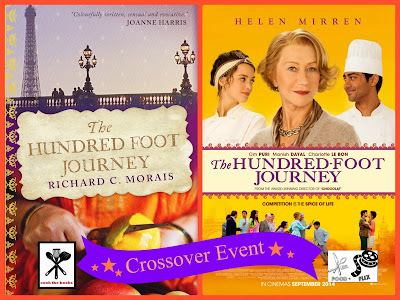 Special Note: The fabulous Camilla of Culinary Adventures with Camilla is hosting November's round of the monthly foodie movie event Food 'N Flix and has selected the movie version of The Hundred-Foot Journey. We will be pairing up and doing an optional tie-in of this book with Food ‘N Flix for those of you interested in both reading and viewing this charming story. Details to come! Do you like a good traditional pound cake recipe and inspired Southern cuisine? Do you like a novel with Southern charm (and that Southern Gothic element as well)? What about a good quirky character ensemble? 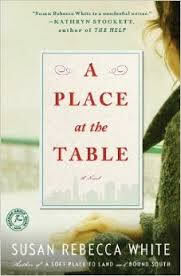 Suzan Rebecca White's novel, A Place at the Table, combines all of these elements. The novel's prologue describes a disturbing scene in Emancipation, North Carolina during the late 20s, but the bulk of the novel takes place during the 80s and 90s in Georgia, Connecticut and New York City. How does a character from an era of lynchings and fear intertwine with more modern characters trying to make their way in NYC? I hope you enjoy finding out the answer and following the three main characters of Alice, Bobby, and Amelia as they all make their way to find peace with themselves and the world around them. What did America look like to an immigrant Italian child? How did this child applied his philosophy of life, rooted in Italy, to his new home in Seattle? 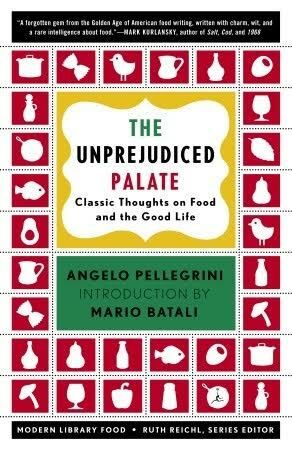 In this book, the first he published, Pellegrini tells his story but also the way he sees life and in particular the way he approaches growing, making and eating food (and wine too). Pellegrini’s prose is pleasant and precise (in his “day job” he was an English professor), with the affectionate intensity typical of Italians when they talk about things that are dear to them. He was not part of any school of thought nor did he follow any fashion: with grace and kindness, he told things as he saw them and as he did them. I hope you will enjoy this food writing classic. 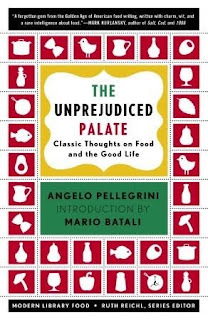 Note: As this book was originally published decades ago, it exists in various editions, the most recent of which is part of Random House's Modern Library Food series(the ebook is also available). I have the 1984 edition, which has an afterword by MFK Fisher, describing the rather inauspicious beginning of her acquaintance, and later friendship, with Pellegrini. So there you have four mouthwatering books that we hope will tempt you to read, cook from and blog about in the months to come. Please join us at our virtual table with your submissions for the roundup every other month. New bloggers are always welcome. A few years ago, I read the novel Blessed Are the Cheesemakers by Sarah-Kate Lynch and quite enjoyed it. In fact, I featured it in a post on my blog. As a home cheesemaker, I particularly appreciated the descriptions of making cheese and also the musings on life by one of the characters. 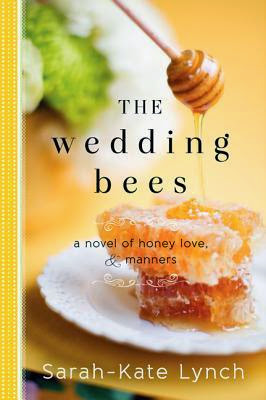 Therefore, when I read Betty's note on our suggested reading page mentioning another novel by Sarah-Kate Lynch, The Wedding Bees (2013) I took notice. My usual readings are fairly dark, as I have a passion for crime novels, but every now and then I enjoy reading a sunny, sweet story. Sugar sets up her honeybees on the balcony of an East Village walk-up and then—as she's done everywhere since leaving South Carolina—she gets to know her neighbors. I don't associate NYC with hives and honeybees, so this introduction got piqued my curiosity. Would you like to know what happens to Sugar, her queen and her motley crew of neighbors? Then get hold of a copy of the book and join the Club this month and the next as we read it. 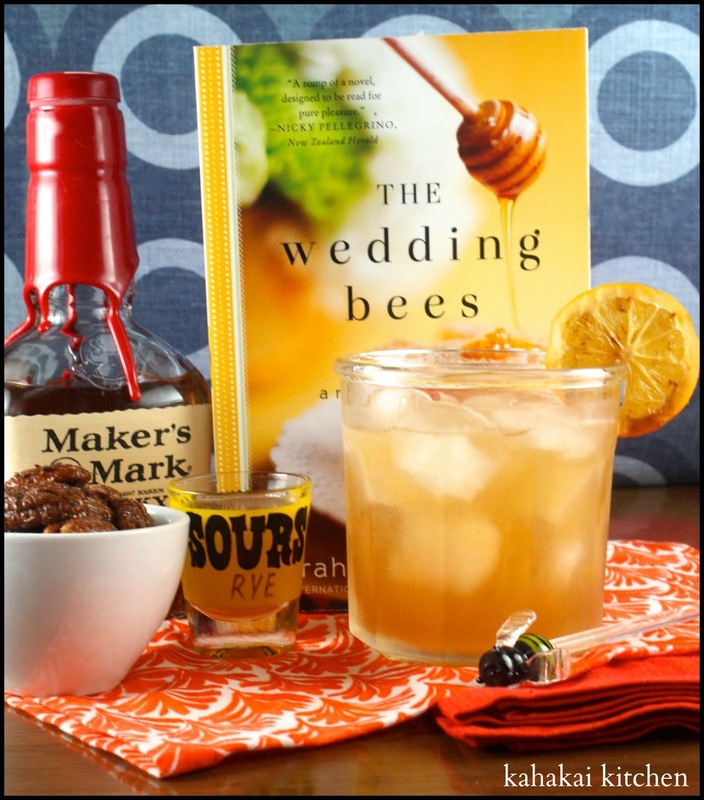 The novel does not include recipes but it mentions a number of dishes and celebrates a precious ingredient, honey, which can be used to make a variety of dishes. I am looking forward to seeing what Sugar's story inspires you to make. Submissions for this round of Cook The Books are due by end-of-the-day Monday, August 3, 2015. Anyone can join by reading the current selection, preparing a dish inspired by its contents and writing about it. Let me know when your entry post is up by commenting on this post and/or sending me an email at: simosite AT mac DOT com. Welcome all to the April/May round of Cook the Books. I found Mather to be plain spoken and although passionate about her lifestyle, she is not preachy or judgmental. She is practical. I learned a great deal from her such as trying to purchase cheese trims from a local cheese monger, drying cherries, and making mead. I love that she also likes to have a meal of “nibbles” in the summer months. And, I applaud that she not only advocates for local farmers, but also for local purveyors and businesses like grocers, millers, and meat packers. I have a new idol in Mather so I appreciate you, the CTB membership, for allowing me to host this round. Now, let's get to the round-up. I have to feature Wendy, from A Day in the Life on the Farm, first. 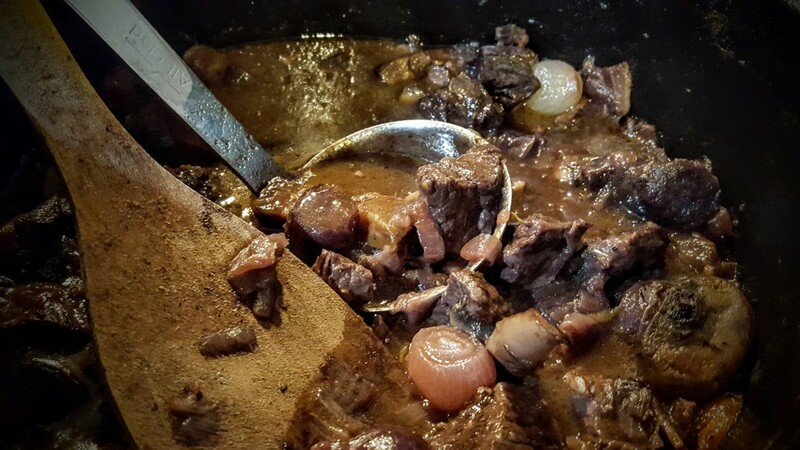 Wendy posted her recipe and review way back in March. 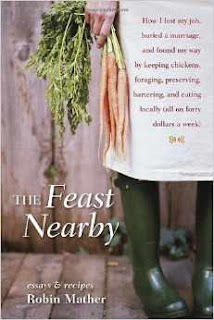 Wendy loved Robin and loved the book because it is not only "about eating and shopping locally, which is near and dear to my heart and a lifestyle I try hard to emulate, but the author lived on only $40 per week for food right here in my home State of Michigan." Wendy wondered why she had not heard of the book before CTB. 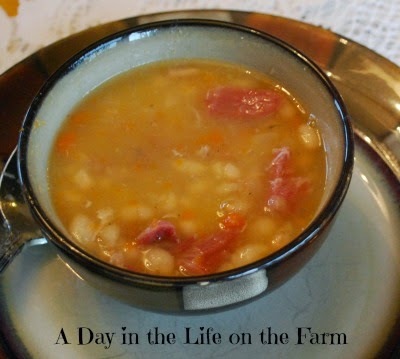 Since it was still 40 degrees in Michigan at the time of her posting, she chose to make Mather's Navy Bean Soup. Wendy was the early bird this round so she deserves to go first. The rest of the round-up is in no particular order. 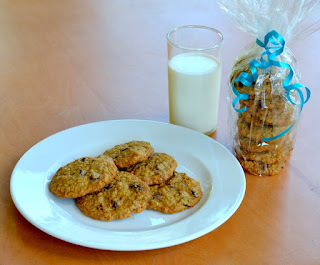 Cathy of Delaware Girl Eats, baked up some delicious looking oatmeal cookies . She was taken by the "homey pleasures" in The Feast Nearby and Cathy reminisced about her own challenges of living on $20 a week after she bought her first home in the 80s. 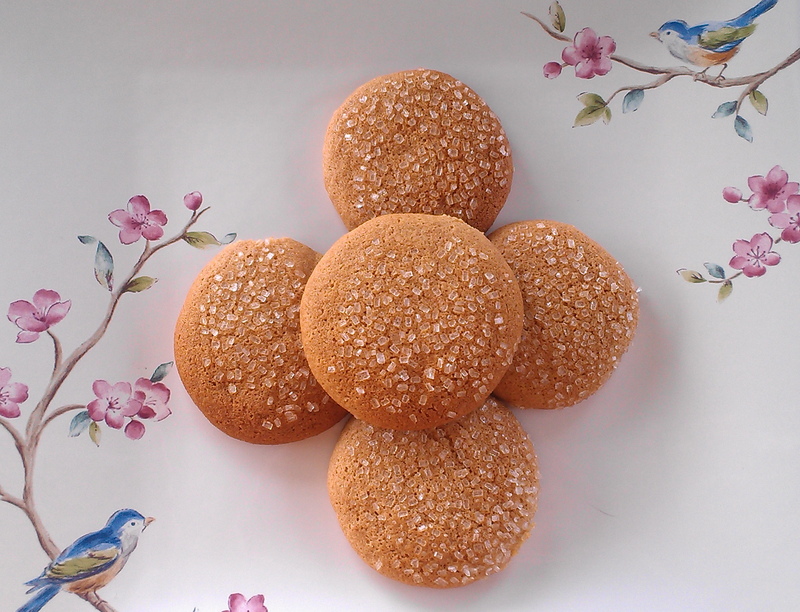 She baked her mother's "simple, homey cookies. 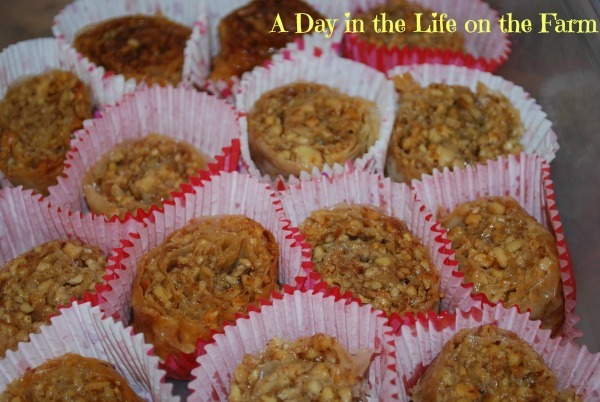 The recipe is similar to the one in the book for oatmeal, maple syrup drop cookies. 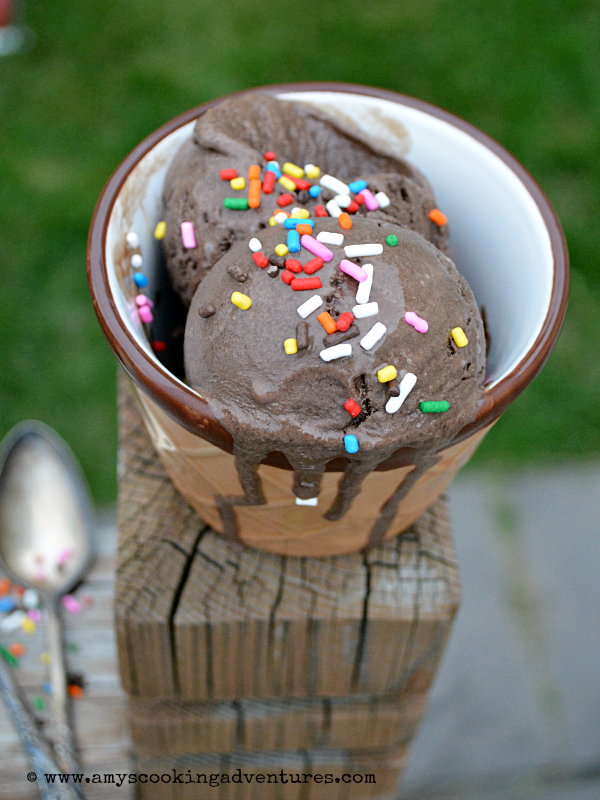 It never fails to please." I agree. Who can't pass up a warm oatmeal cookie, especially with those memories behind it? 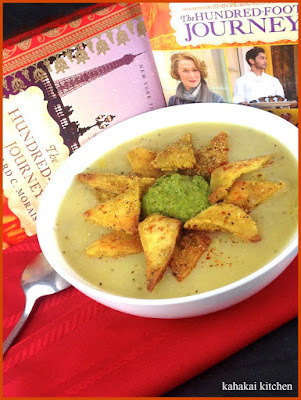 Amy of Amy's Cooking Adventures went with a warming soup like Wendy; however, Amy was less than enamored by the book. Amy first attempt for CTB was a salt rise bread that failed to cooperate. Being resourceful, she searched her freezer to find lots of veggies from the previous summer's farmers markets. 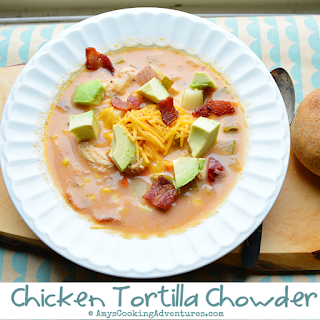 She created a delicious soup that was "sort of hybrid between Bacon Corn Chowder and Chicken Tortilla Soup." Sorry you didn't enjoy the book. Amy. At least you were able to create a delicious new soup. 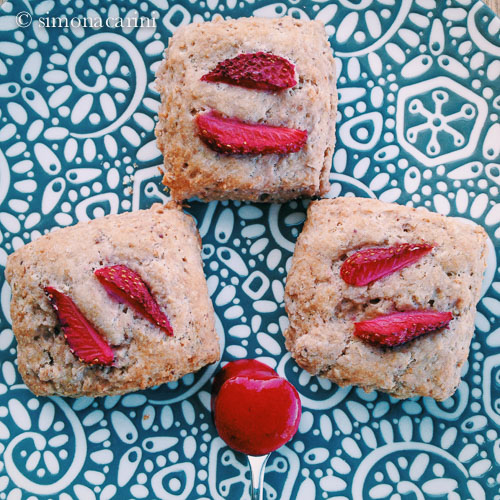 Simona of briciole and a fellow CTB co-host created some delicious and delicate looking strawberry scones. Simona was inspired by the seasons: "The narrative starts in the spring (primavera), which since childhood for me is associated with strawberries. Strawberry season in California starts earlier and last longer than in Italy, but I don't think I will ever get used to it, which is good, because it means every year, the thrill of tasting the first strawberry carries the same intense sweetness as when I was a child." I love that Simona oven-roasted the fragole. Claudia writes at Honey from the Rock. She "especially enjoyed the moments with Pippin, Robins's very clever parrot, having no idea that some varieties of parrot were so intelligent. He understands and answers her. Amazing." 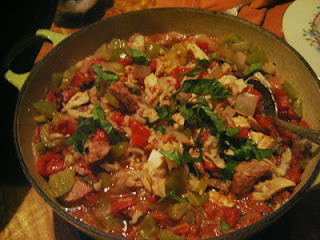 As far as the recipes in the book go, the Jambalaya was calling her name. She also points out the difference in growing climates between Mather's Michigan and her own home of Hawaii: "We have a year-round growing season here in Hawaii, though preserving what we grow is still an excellent thing. Using fruit that is abundant beyond what can be eaten out of hand, to prevent waste and save money. Just think of all the wine I don't have to buy, because I grow the fruit and make it." Rachel, another CTB co-host, writes at The Crispy Cook. She concluded that The Feast Nearby was "stuffed with good information on raising chickens, bartering (she swapped homegrown vegetables from her neighbor for a snug, handknit hat), grocery shopping locally, preserving and canning, roasting and grinding your own coffee. I learned a lot and enjoyed her down-to-earth writing and recipes. There's a lot of richness in living and eating cheaply, seasonally and well." She decided to experiment with baking with dried cherries and tackling Mather's Peppery Cherry Spoon Bread. Rachel does suggest that next time she will adapt the recipe a bit and simply make "a cheesy, dried cherry-studded polenta" instead. I was glad to see Deb (the third co-host) from Kahakai Kitchen post her "Ethel Dip.". (Deb, good to see you posting again.) 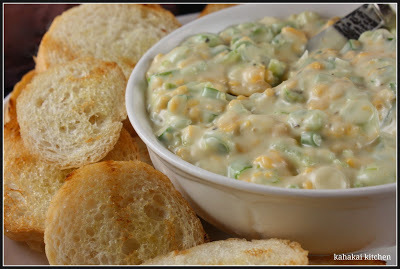 This dip was named after a family friend of Mather's and promised to be a crowd-pleaser. Deb realized that she already owned and read the book a couple of years ago but set about rereading it for CTB. 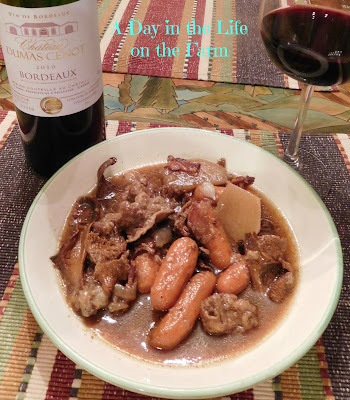 As she revisited the book, she found that "Mather's words and the food she cooks are simple, homey and great to curl up with at night before bed. It made me want to get a tiny cabin complete with a poodle, a smart African Grey parrot, and maybe a kitten, and try to live on $40 a week too. Since that's tempting but not realistic, Mather's book is the next best thing." Last but not least is Camilla of Culinary Adventures with Camilla. A few of you have mentioned the long subtitled to the book (and one of our members refused to read it because of it). Camilla was also "completely put off by the subtitle: How I lost my job, buried a marriage, and found my way by keeping chickens, foraging, preserving, bartering, and eating locally (all on $40 a week)" and she "envisioned a self-absorbed memoir that was more focused on grocery receipts than the actual food." Camilla was pleased to be wrong by her first impression. 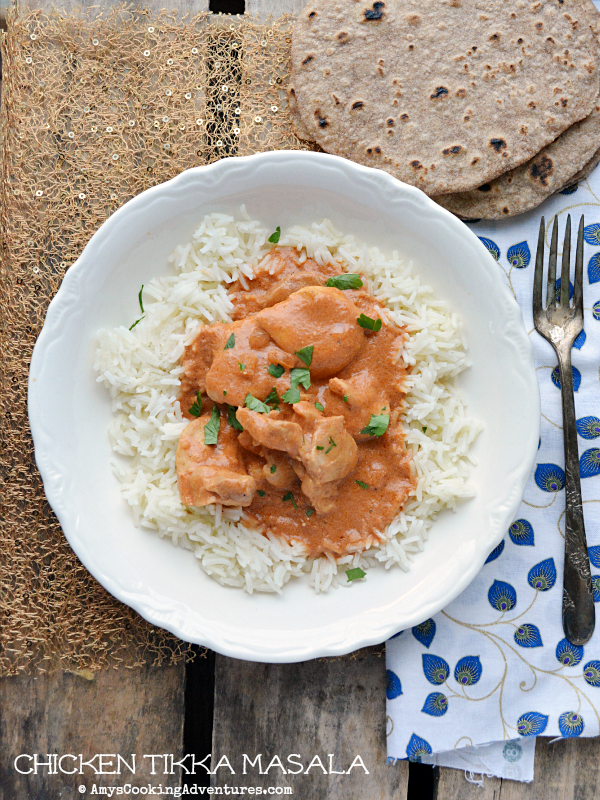 Camilla presented Mujadara, a recipe that was new to her. Looks delicious, Camilla. 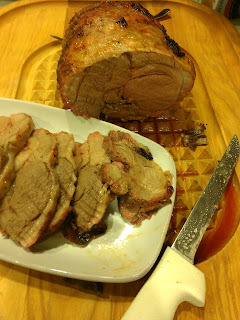 Finally (and I almost forgot to highlight my own recipe here), I also went into unfamiliar territory. I had never cooked with lamb before and couldn't resist Mather's Marinated Grilled Lamb with lots of herbs, garlic and red wine. We enjoyed this for our Easter dinner at Eliot's Eats. Thanks to all who read The Feast Nearby and participated this round. I hope we all found some tidbit of wisdom (or a new recipe) from Mather. Since the books publication, Mather has vacated the cold climate of Michigan and currently resides near Topeka where she writes for Mother Earth News.